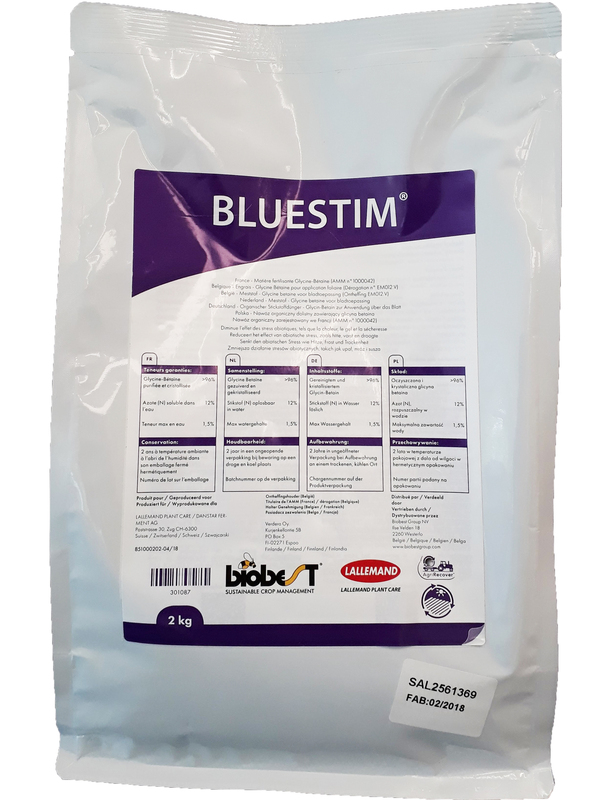 Following extended collaboration between Biobest and Lallemand Plant Care, Bluestim® − the powerful anti-stress agent for plants − will be available to growers in France, Germany and Poland from June 1. Bluestim® contains extremely high levels of glycine betaine (96 %+) – a natural extract from sugar beet that helps crops deal with a wide range of stresses. Easy to apply, through a single foliar spray, it accumulates in plant cells ensuring better water and nutrient management – including calcium mobilization. Within 24 hours of application, Bluestim® penetrates through the leaf surface and is distributed throughout the plant helping it cope with stressful conditions for 3-4 weeks. “We have several years experience using Bluestim® in the USA; as well as Belgium and the Netherlands – where it was originally launched as Greenstim® but its name will now change to Bluestim®,” explains Sarah. Biobest is exploring and developing applications for Bluestim® in ornamentals and is seeing positive resulting helping plants cope with environmental stresses, such as drought and frost, and maintain quality during transit and on the retailer shelf.